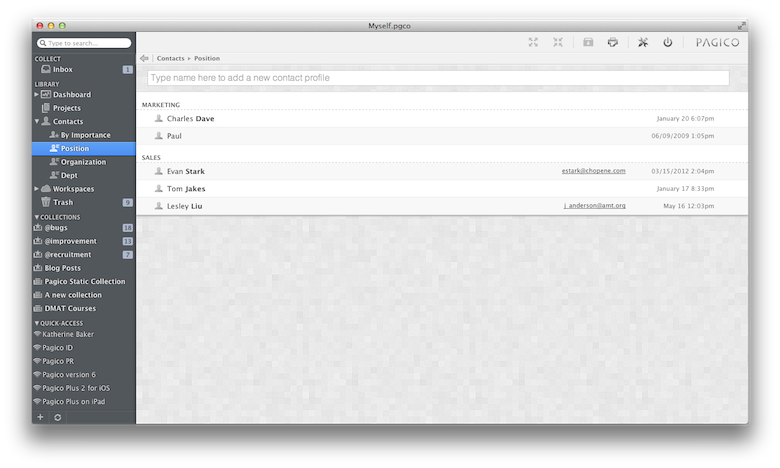 The easiest way to build contact profiles. Store all kinds of stuff in contacts. Tasks, notes, lists, and files. All in just one place. can be really flexible. You can put in anything you want as labels. can be stored here as well! right next to action items. with your team is easy. You just need a workspace. You can browse them by those custom labels. will be presented by groups, based on the labels you set. See how to use collections in Pagico for Desktop. 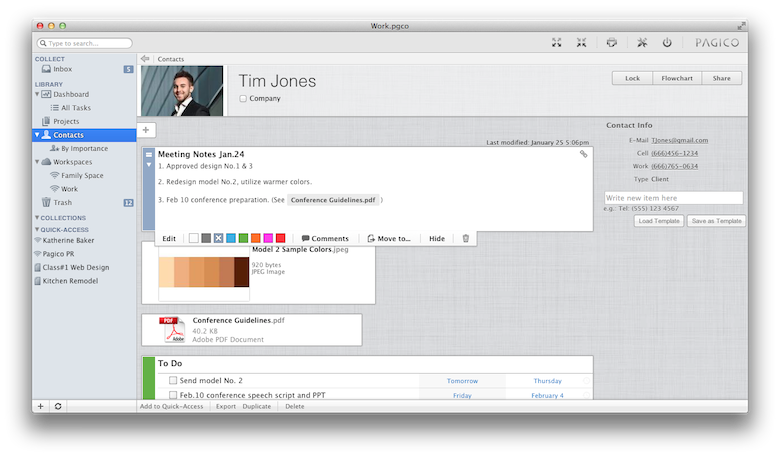 Pagico for Desktop is available for Mac OS X, Windows, and Ubuntu. Available in Chinese, Dutch, English, French, German, Japanese & Polish.